I’m wearing my happy pants and my happy cape today. Don’t they look great on me? This makes me laugh out loud…I just can’t help it. 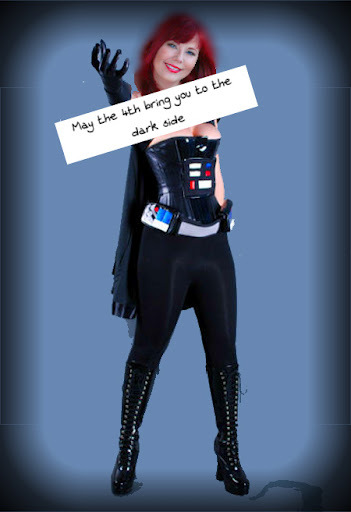 Have a great weekend…I’ll be seeing you on the dark side! This entry was posted in Uncategorized and tagged being awesome, Darth Vader, weekend by Just Call Me Mel. Bookmark the permalink.